Condition: Intact. Now the site of an observatory, visitors centre and restaurant. Notes: Blackrock Castle is a 16th-century castle located about 2 km from the heart of Cork city, Ireland on the banks of the River Lee. Originally built to defend the port and upper flows of Cork Harbour, the castle is now the site of an observatory, visitors centre and restaurant. The building was purchased by Cork Corporation in 2001 and had previously been used at different times as offices, as a restaurant and as a private residence and the home of City of Cork Rowing Club from 1903 to 1908.In the early-2000s the Castle was redeveloped under a joint venture between Cork City Council, Cork Institute of Technology and a private benefactor. The "Cosmos at the Castle" project was intended to create a "centre for scientific research, outreach and communication". A feature of the facility is the manner in which children and adults are encouraged to interact with science. 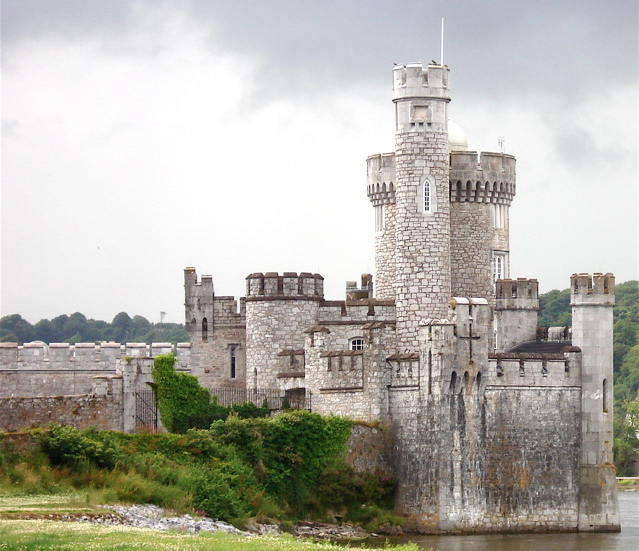 Blackrock Castle now houses Ireland's first interactive astronomy center developed by the award-winning multimedia company Martello Media. The exhibition is open to the public and is themed "The Search for Extreme Life in the Universe". Highlights of the exhibition include: A tour of the Universe using interactive floor-to-ceiling screens. A "social software" cinema designed by Martello Media, with digital post production by the award-winning Irish company The Farm A radio telescope that beams messages composed by school groups towards nearby stars An optical telescope that continuously searches for very short flashes of light that may be evidence for extraterrestrial intelligence. The castle already houses a team of astronomical researchers from Cork Institute of Technology who have been working on the exhibits and Ireland's first robotic observatory. At the same time, the team are currently engaged in a number of astronomy projects.